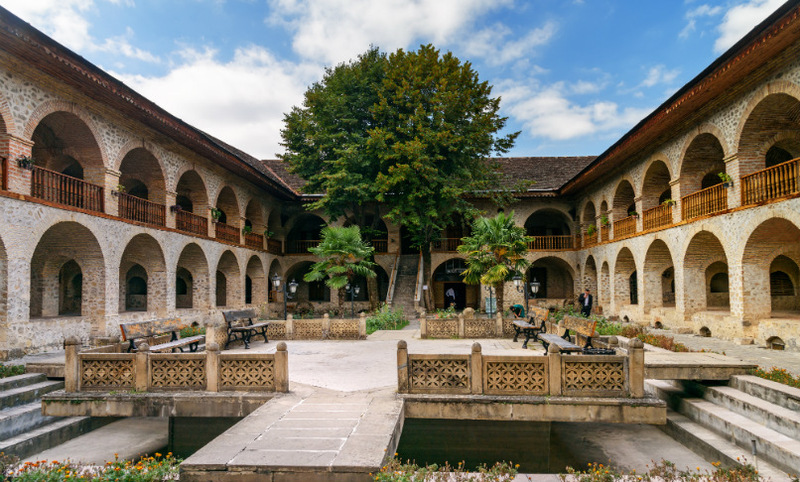 The rapid development of trade in the Middle Ages saw many new caravanserais (an inn for travelers with a central courtyard) being built throughout Azerbaijan. Caravanserais were generally built along the same lines as castles - with a huge gate that made them impregnable to invaders. 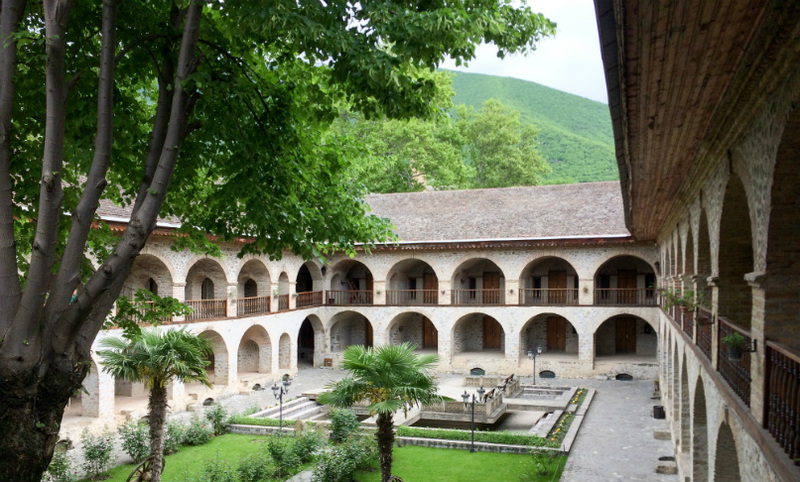 Construction of the Sheki Caravanserai, which covers 8,000 sq meters, began in the 18th century. It is built in two parts: "Yukhary" and "Ashaghy", which means upper and lower respectively. The front of the building, which overlooks the street, is 14 meters high. The lower part is rectangular with four entrances, a large inner yard and a pool in the middle. 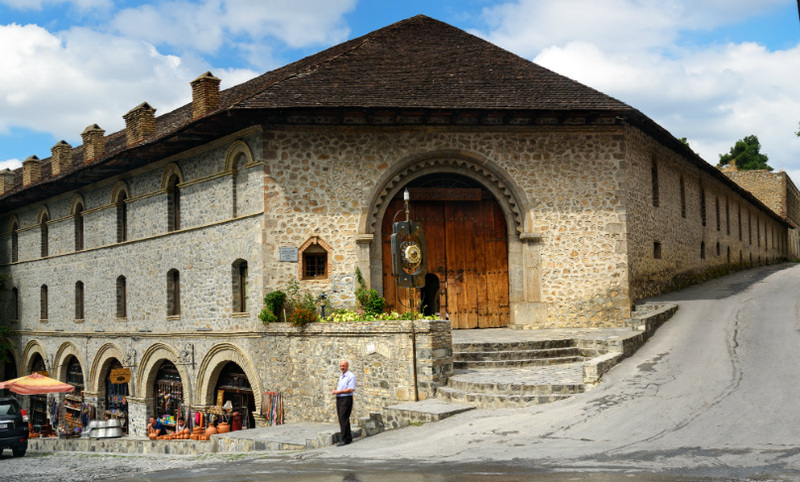 The first floor had about 300 rooms and storerooms that were used by travelers and other guests. Each room had a manhole that was connected to the ground floor via a stepladder, which made it easy for merchants to check on the safety of their goods stored on the ground floor. 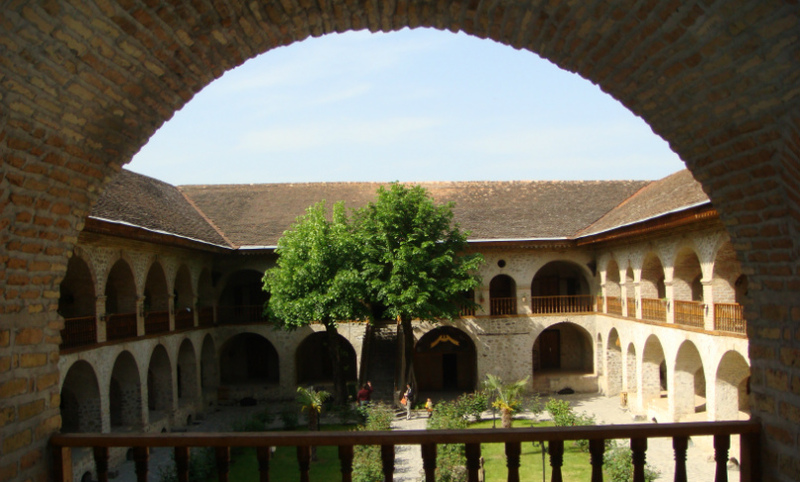 In 1988, the lower caravanserai was turned into a hotel, the Yukhary Karavanserai Hotel. 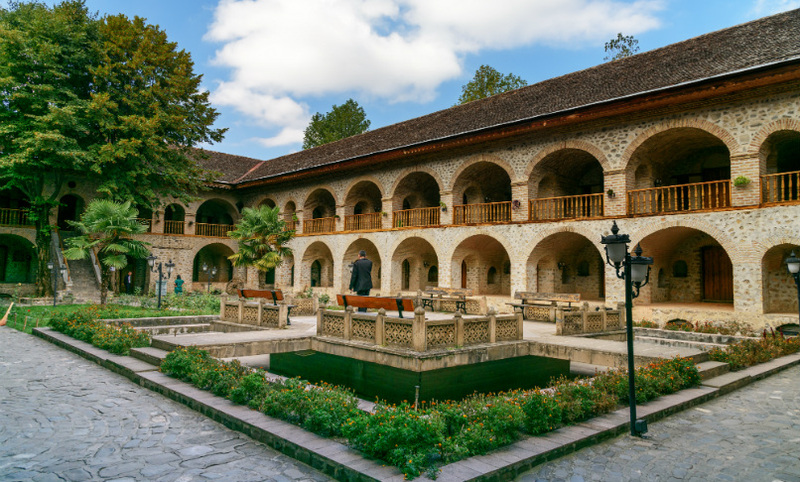 It contains a restaurant serving traditional Azerbaijani cuisine and 242 international standard rooms and suites. 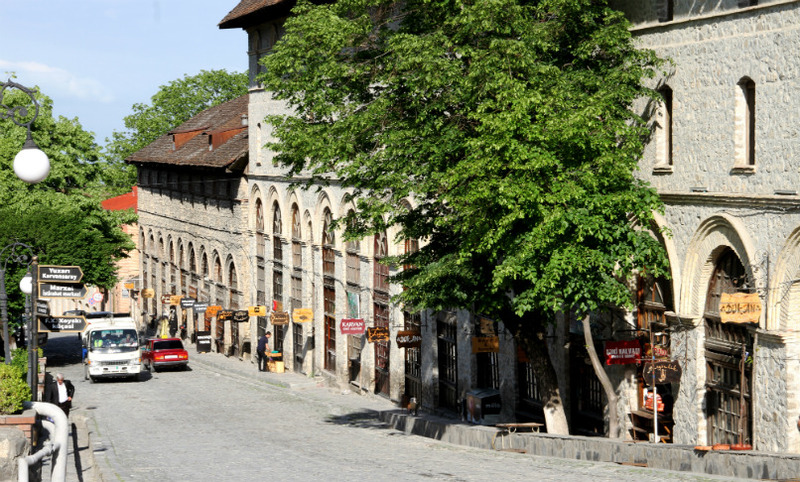 The upper part of the caravanserai is now a historical and architectural monument. Total area of the building is 6000 m2. 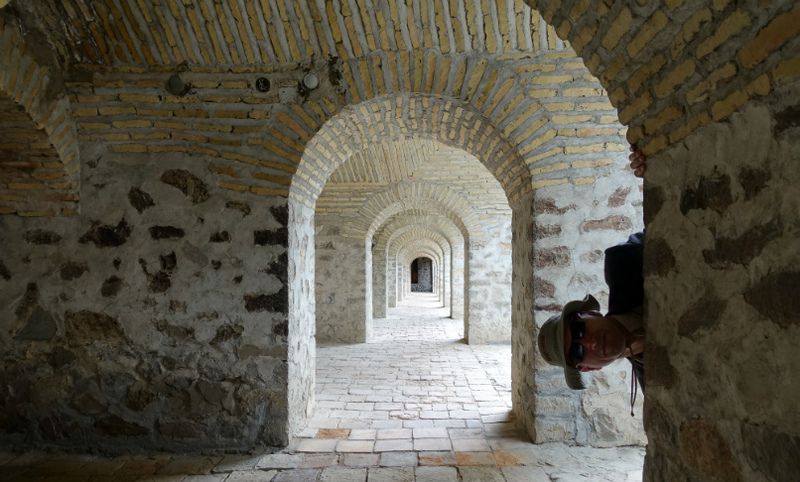 There are about 300 rooms and store rooms in the upper part of the caravanserai.